For years I have been disturbed by my lack of knowledge of Africa. 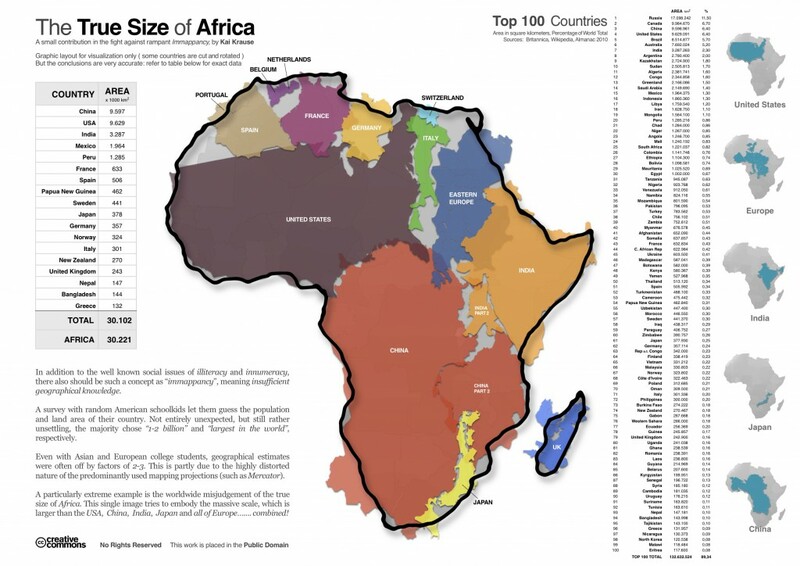 This lead me years ago, stimulated by Michael Crichton’s pulp novel Congo, to investigate Mercator maps and the true size of Africa. You can find some of that in an earlier twice revised post, “Michael Crichton’s Congo and the Transformation of the Western Mind“. click on map to get larger image.